China's expansion of internet coverage has made live streamers one of the highest-paid new careers. And YY Live, a major Chinese live streaming platform, presented 124 awards to 88 broadcasters at its annual gala at the Beijing National Aquatics Center recently. 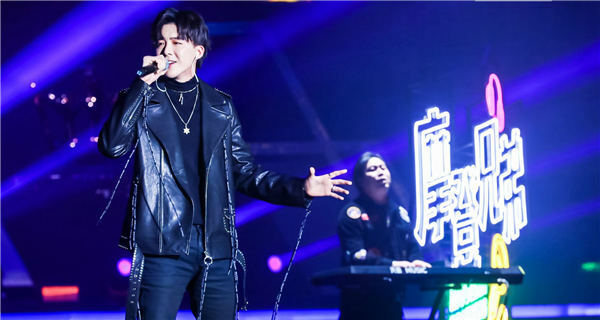 The event also featured singers Kim Ji-mun, Gary Chaw, Victor Wong and Lu Hu performing with four top winners as well as a show by the popular online band Modern Brothers. The winners were selected in an online poll. Li Ting, the chief operation officer of YY, says that the live streaming industry will reach a market value up to 100 billion yuan ($14.8 billion) this year. Although the industry has seen a slowdown recently due to competition from short videos, Li Ting says the videos will help boost the development of live streaming. YY's chairman and acting CEO Li Xueling says the public wil raise the recognition of star streamers and ultimately accept them as entertainers like those emerging from traditional film and TV. Li Xueling also adds the next revolution for internet companies will be driven by artificial intelligence, which he believes will reduce labor and shift the focus to creativity. A chorus performed at the award presentation ceremony of YY Live's annual gala in Beijing National Aquatics Center.